Next year, Phase Three of the MCU kicks off with Captain America: Civil War. They have already finished filming and have now dedicated their focus to post-production, which hopefully means they will publicly reveal some sort of footage soon. We got our first look at both the costumes and the team sides thanks to some concept art that was released a few months ago. In those photos, there were some notable changes to the suits for basically the entire cast. 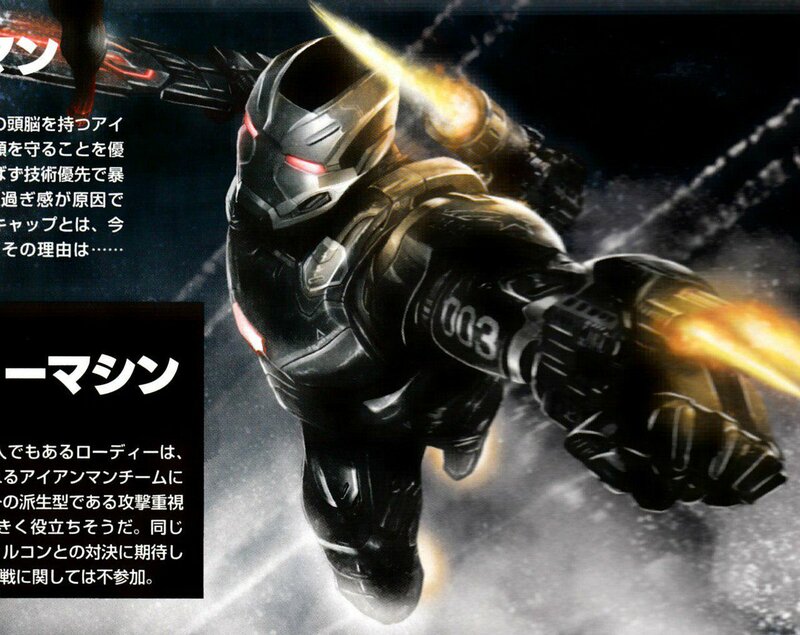 Thanks to some new leaked art, however, we have even better looks at an improved suit for War Machine, a modernized suit for Ant-Man, Black Panther, and a few other Avengers. The changes to each of the suits are pretty minimal, but they work very well for each character. The new armor War Machine is sporting also appears to have a similar design as Iron Man’s Bleeding Edge armor. If that’s the case, it could make Team Iron Man that much tougher for Team Cap to beat. Captain America: Civil War is set to hit theaters May 6, 2016. Elizabeth Henstridge Talks About Simmons Being Back With S.H.I.E.L.D.